This month’s success story is an example of how Organizational Architecture assisted its client with an executive level recruiting challenge. 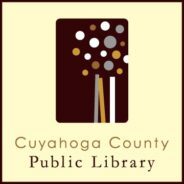 The Cuyahoga County Public Library offers the very best in public library service in the nation. The library is focused on being the center of community life and is dedicated to creating an environment where reading, lifelong learning, and civic engagement thrive. Recently, their Human Resources Director retired. Since we had worked with the Library before and knew the organization well, they asked us to assist them with the sourcing, screening, and selection process for their new HR leader. Before we even started to engage with the talent market for this role, we had discussions with the Library leadership team about the role and its responsibilities. We discussed the unique role of HR in public sector employers and the critical need for a good understanding of labor relations. Organizational Architecture facilitated an incredibly positive recruitment experience for CCPL. They demonstrate a thoughtful and organized approach to uncover the unique needs of the organization and the role, and then to find the right people. They asked strong questions and clearly understood our needs. Additionally, they kept us apprised throughout the process, and within a short period of time provided us with an outstanding slate of candidates to meet. They helped us consider the candidates’ strengths and how they would complement our leadership team, lead our HR function, and support our employees. They provided quality guidance and support throughout the process. The candidate we selected brings all the things we were looking for and more…we could not be more pleased with our experience working with Organizational Architecture. Spending time at the front end of the search to fully understand the role and the organization is critical. Identifying these screening criteria helped make our recruitment fast, efficient, and effective. Do you need assistance with a strategy for effective recruitment? Contact us to learn how we can help and check out our blog for more resources.